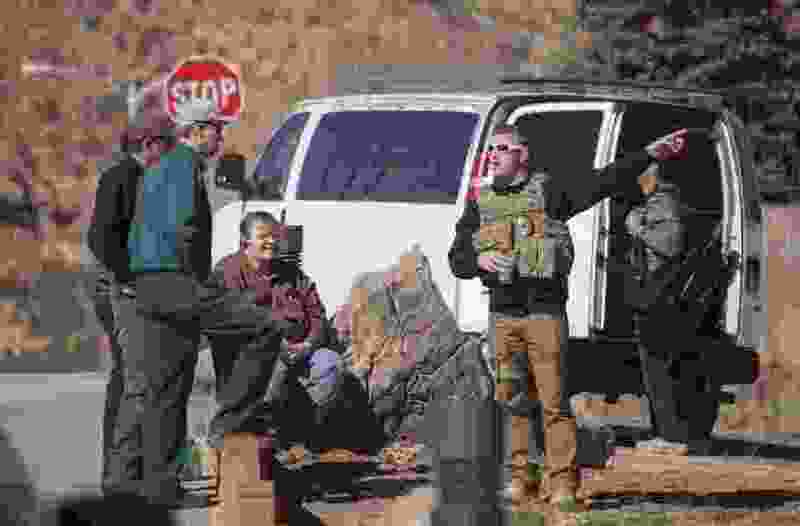 The state of Utah will begin investigating members of the polygamous Fundamentalist Church of Jesus Christ of Latter-Day Saints who may have misused federal food benefits but were not charged with crimes after a 2016 raid. The inquiry by the Utah Department of Workforce Services will not be looking for more people to prosecute. Instead, said Dale Ownby, director of the eligibility services division at the department, investigators will determine whether any residents in Hildale need to repay benefits or be suspended from the Supplemental Nutrition Assistance Program. “If we can determine that there was indeed trafficking, then the next step would be whether we can establish a dollar amount that was missed,” Ownby said Friday. The plan brought condemnation from David Bistline, who used to follow FLDS leaders and still has family in the sect. That leadership has been largely absent from Hildale and adjoining Colorado City, Ariz., in the last two years and food shortages have been reported there. 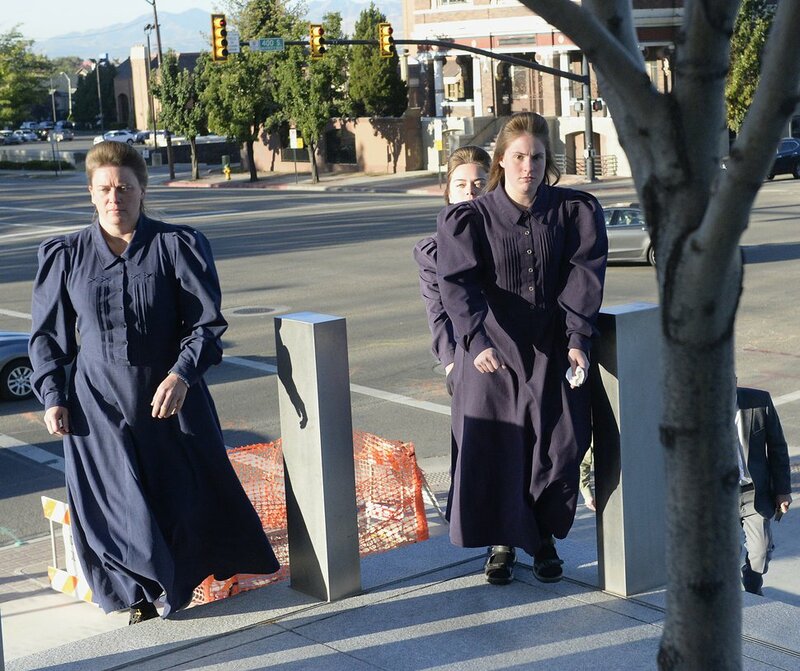 Al Hartmann | The Salt Lake Tribune Members of the FLDS Church walk to Federal Court in Salt Lake City Tuesday Oct. 3 for a two-day hearing to hear testimony from FLDS members and government witnesses to determine whether defendants have a religious right to share their food stamp benefits. Ownby said his department expects to receive evidence from the federal government in the next few weeks. That evidence includes surveillance video from a store in Hildale and one in adjoining Colorado City, Ariz.
Investigators will compare transaction records with timestamps on the video to see who is walking out of the stores empty handed despite having just used their government-issued debit card. Even if investigators can’t determine a dollar amount that was swiped for cash rather than food, anyone found to have misused their benefits can be suspended for 12 months on a first offense. Ownby said the accused will have opportunities to appeal. Even if the appeal fails, the others in their household would still be eligible for benefits, Ownby said. “It is a lot of work, but our primary responsibility is to ensure only eligible households get it and somebody not playing by the rules, we’re required to take action on that,” he said. The Supplemental Nutrition Assistance Program, or SNAP, and which a lot of people still refer to as food stamps, is a federal program that is administered in Utah by the Department of Workforce Services. Federal prosecutors indicted 11 FLDS members in February 2016 with one count each of attempt to defraud SNAP and money laundering. The defendants were accused of being the ringleaders in a scheme where sect members converted their SNAP benefits to cash or gave their purchased food to church leaders. Among the defendants were Lyle and Seth Jeffs, full brothers to imprisoned FLDS President Warren Jeffs. The prosecutions ran into trouble after the indictments. A witness from SNAP testified there was no rule against donating benefits for religious purposes, and U.S. District Court Judge Ted Stewart said defendants could use religious donation as a defense at any trial. There were no trials. Seth Jeffs and another former FLDS bishop, John Wayman, pleaded guilty to a felony and received credit for time served. Lyle Jeffs, who fled from a pre-trial release, pleaded guilty to a fraud charge and an absconding charge and was sentenced to 57 months in prison. Seven other defendants pleaded guilty to a misdemeanor and served no jail time, no probation and did not have to pay restitution. Charges against an 11th defendant were dismissed. Ownby said his department had to wait for the federal inquiries to finish before state investigators could conduct their administrative investigations. Bistline said he is no fan of Lyle Jeffs, who led the FLDS in Hildale during the SNAP pooling, but that the state should look at the federal case and realize no crimes were committed. “I feel like what he did wasn’t ethical, but was it unlawful? No,” Bistline said. Warren Jeffs is serving a sentence of life plus 20 years in a Texas prison for crimes related to sexually abusing two girls he married as plural wives.